Connecticut became known as the “Provision State” during the American Revolution because the colony was one of the main providers of supplies, such as guns and food, to the Continental Army. However, other than a surplus of guns and food, there was also a surplus of art coming out of this colony during this time, specifically in the form of paintings and poetry. 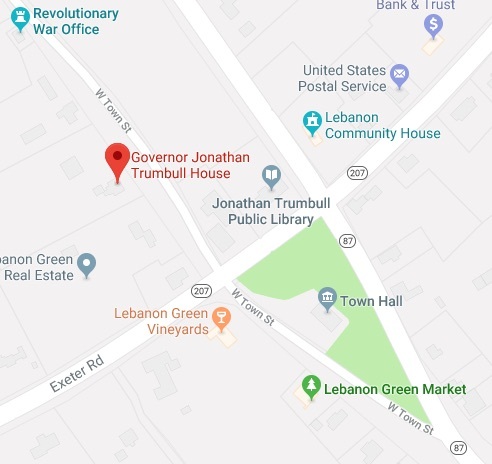 Coincidentally, the two Connecticut men most commonly associated with the arts during this time share the same name, John Trumbull. The painter, John Trumbull, is the more nationally recognized of the two. Born in Lebanon, Connecticut, he was the son of Governor Jonathan Trumbull. During the American Revolution, he served a short term of aide-de-camp to General Washington before traveling to London in 1780 where he was imprisoned for what the Americans had did to British Major John André. Once released, he came back to America, but soon went back to London to study painting. It was after the war ended when his services as an artist began being needed. The new United States wanted a way of commemorating many of the major events that had taken place over the course of the seven years of the American Revolution. 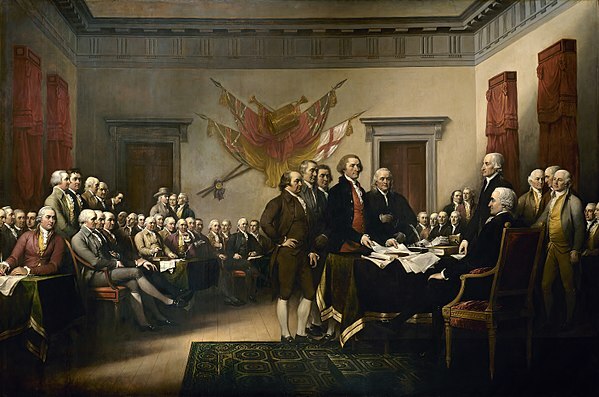 Beginning in 1784 and continuing the series throughout his life, John Trumbull created many of the most famous works we see in textbooks and art galleries today, including The Declaration of Independence (pictured below). Rather than simply a creative outlet, art became a new and unique way of documentation, and is a method that is still used today. The other John Trumbull, a distant cousin of the painter, was a poet from Watertown, Connecticut. However, unlike the previously mentioned Trumbull, this Trumbull’s work became known right at the height of the American Revolution. Though he wrote many essays over the course of his time at Yale in the late 1760s, he slowly began to try his hand at satirical poetry, where he attacked everything from the education system to politics. Having a strong Whig bias, he used his art to depict the events of 1775 to positively portray the actions of the Patriot cause in his epic poem, M’Fingal. In this work, Great Britain and its assistants (i.e. Hessians, Hanoverians, etc.) were seen as great buffoons who were no match for the heroic Patriots. He specifically mentions the lack of Tory pushback against the Boston Tea Party, stating in verse, “What furies rag’d, when you in sea, In shape of Indians, drown’d the tea’…With wampum’d blankets his their laces, And, like their sweethearts, prim’d their faces: While not a Red-coat dar’d oppose, and scarce a Tory show’d his nose;” (M’Fingal, Canto III, pg. 82). With the first two of four cantos being published just before the Declaration of Independence was signed, this piece of art was meant to give hope to the colonists that independence was possible and to call to action all who wanted to help the cause. Though his writing career slowly decreased after this work, he is still considered one of the great political satirist of the time and was elected as a fellow of the American Academy of Arts and Sciences in 1791. These two John Trumbulls were part of a major shift in early American thought that still exists today. Politics and wars no longer were viewed in their own vacuums, rather they were viewed in a more interdisciplinary way with the inclusion of art. Today, this ideology seems to be common sense, however, in the era of the late 1700s, it was (pun intended) Revolutionary. Murray, Stuart. John Trumbull: Painter of the Revolutionary War. New York:Routledge, 2015. 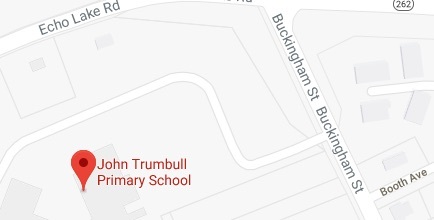 Trumbull, John. M’Fingal. Hartford: S. Andrus and Son, 1775.